Wash me Saviour or I die. This is indeed the secret of the Christian life. We’ll miss you. We love you. Dave and Becky Lynn. Yet I think the author may take one step too far in this direction, for elsewhere he takes the exclusive headship of Christ over His Church to imply the presumptuousness of assuming “the position or title of solo ruler, overseer, or pastor of the church” (p115). I share Strauch’s impulse to guard against a misperceived self-sufficiency in senior pastors, and to be wary of absolute power corrupting absolutely. But I question whether the senior pastor title or role is necessarily illegitimate on the grounds of Christ’s exclusive headship, or whether the title of senior pastor is mutually exclusive with a plurality of elders. After all, the letters to each of the seven churches in Revelation were all addressed to the singular angels of those respective churches, which most commentators regard as the singular pastors of those churches. Both Timothy and Titus seemed to exercise a role akin to what we would call a senior pastor without threatening either Christ’s exclusive headship or the plurality of local church leadership. And it makes sense that the one who is released by the corporate provision of the congregation to devote himself to teaching God’s word would accrue a level of authority that only such a corporately recognized teacher could have. What is meant by "the angel of the church"? It is true, as some have pointed out, that this word can be translated "messenger," and in other parts of the New Testament it does have that meaning. But it does not have that meaning elsewhere in Revelation! The word "angel" appears many times in the book outside these seven letters, and in every case it refers to a heavenly being -- what we normally think of as an angel. It is suggestive here that each church has a heavenly being responsible for guiding the human leadership of each. Some have seen this is as a reference to the pastor, or human leader of the church. That is not likely since in all the churches of the New Testament you never find a single human leader. Leadership is always in the plural -- elders and pastors of churches. It is men who have made that change in the centuries since our Lord began the church. 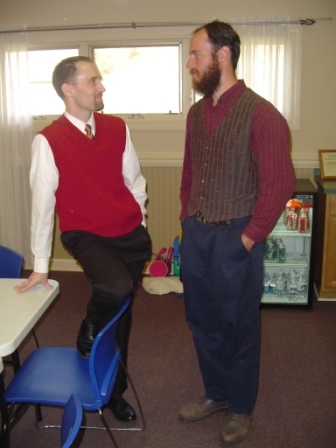 Secondly, as for Timothy and Titus having roles that are akin to that of a senior pastor, I dare say that nothing could be further from the truth, as both men were quite simply (temporary) representatives of the apostle Paul, doing a vital task to be sure, but they were hardly the pastors of these churches. Timothy, for example, was in Ephesus when Paul wrote to him, and we know that Paul had already met with the Ephesian elders (note the plural) in Miletus, as recorded in Acts 20. A verse I find most helpful in this discussion is Col. 1:18, which states that in all things Jesus Christ is to have the first place (or “preeminence,” if you prefer). Of course, this is far easier to proclaim than to practice. We appreciate those who are anxious to give honor where honor is due, but they need not give encouragement to the very attitudes our Savior so strongly condemns in Matthew 23. 12:35 PM Indiana Wesleyan University announces an opening in religion/church history. Thank you also for your prayers! This morning, we received a phone call from Burji...the war with the Guji tribe stopped two weeks ago (Praise His Name!! ), Mohammed (who is unsaved) is healing from his gunshot wound, and the building of the Meeting Hall is progressing rapidly. Oshe is the leader in Burji who speaks good English, and he is coming to Addis to meet with us; he will give us a full report, give us pictures, etc., etc. How we praise our Lord for this answer to prayer!!! If this doesn’t put your nose on the carpet in thanksgiving and praise nothing will. Words cannot describe my gratitude to God for what He has done in Burji and what He is doing among the severely persecuted church in Alaba. “Yes, and all who live godly lives in union with Christ Jesus will suffer persecution” (2 Tim. 3:12). It does not say “some,” it does not say “most,” it says “all.” How much tribulation have you had that you wouldn’t have had if you hadn’t been a Christian? As the Master, so the servant. I praise God for the faithfulness of my brothers and sisters in Ethiopia. We wear medals, they wear scars. Believers and churches in the States should be more aware of the difficult situation in which this reality places the missionaries they send out around the world. Trying to communicate to love of Christ in such a setting can be a serious blow to your sense of self-esteem, if it is not firmly grounded in who you are in Christ alone, and not who you are as an American. Those who support missions back at home should also be aware of how political issues in the States can, at times, make the burden that the missionaries they send out have to bear, even heavier. Without compromising on our God-given responsibility to be salt and light in our society, and maintain a prophetic voice in the face of evil and injustice, we should be sensitive as to how our public image affects not only our witness on the home front, but also, more and more, on the international mission field, as well. Read Being American and a Missionary at the Same Time. 6:21 AM As most of you know, we leave this Thursday for Ethiopia. Why are we going? It's very simple. We desire to help the local church leaders in Alaba "prepare all God's people for the work of Christian service, to build up the body of Christ" (Eph. 4:12). Whatever the category of tasks we're assigned, the ultimate task is to carry on Christ's mission of building up His Body. We are convinced of our unworthiness and inadequacy. But the Holy Spirit is adequate. He takes common, everyday believers and uses them. As Christ-bearers, their primary aim is passing on the message that was given to Him. By abiding in Christ, they bring a redemptive influence to their cultures. Each person is particularly endowed for his or her own unique ministry, so that there is never any need for comparison. Undergirding all of this is the entire gamut of human relationships, with all their joys and sorrows. Personally, I have a growing desire to try and help meet the needs of people at the level of their deepest needs. I have no "master schemes" to accomplish this, other than the "sheer dogged endurance" Paul talked about (as J. B. Phillips interprets 1 Thess. 1:3). No one knows how many unsaved there are in Alaba who have never experienced the reality of Christ's love and forgiveness, not to mention His continuing presence. They are everywhere. I see it in their eyes when I pass them in the marketplace. People with desperate problems, people alienated from God needing His message of reconciliation. And the most important contribution you can make in the next 3 weeks is in the area of prayer. Becky and I rejoice whenever we realize that our names are being upheld before the throne of grace through the holy fellowship of intercessory prayer. Someone once defined missions as "a penetration of a distraught world by committed men and women in whose hearts Jesus is real." Today, let us partner together, in our going and in our sending, to be those committed Christians who penetrate the world as light and salt. Below: Students at the Amharic-speaking Bible school in Alaba. Dear my precious Mama and Papa how are you doing? I have been disappeared for tow weeks. I came back to Alaba Saturday in the late afternoon. I had wonderful time with the students taught them Hermeneutics. I learned a lot as I had been teaching them. This idea cheered my heart: "When I taught them, it was I who learned a lot!" There's no better way to learn than by teaching others. 8:49 AM It's crunch time in terms of our final trip preparations, and to be honest Becky bears the heaviest load, so a quick prayer on her behalf today would be greatly appreciated by yours truly. The logistics can swallow you up and eat you alive if you're not careful. Because I'm an absolute klutz when it comes to organization, I've taken over the kitchen duties, food preparation, clothes washing, and other domestic chores to relieve Becky. Today I need to set out my clothes for Becky to pack. I plan to take numerous items to give away to the taller Ethiopian men I know. 8:44 AM A pastor who majored on the "Thou shalt nots" of the Bible was invited to lunch by a farmer in his rural congregation. After lunch the farmer asked the pastor if he'd like to meet his donkey. The minister was a bit surprised. He asked, "Why should I want to meet your donkey?" The farmer replied, "Because my donkey is a Christian." "That's ridiculous," said the pastor. "How can a donkey be a Christian?" "Well, my donkey doesn't swear, drink, smoke, or work on Sunday. According to your sermons he must be a Christian!" said the farmer. A true Christian is one who does not merely refrain from certain things but also pursues goodness and love. That's what Becky and I witnessed yesterday afternoon when we attended the Bluestone Junior High and High School Band concert. 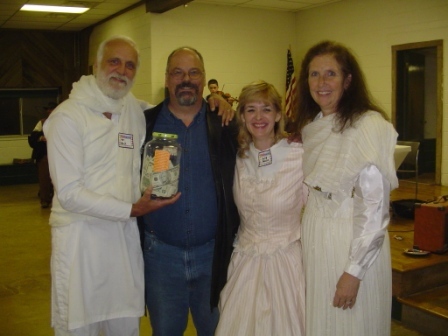 A special free-will offering was collected for Bibles for Ethiopia, and over $1,000 was given. That's more than 200 Bibles! Friends, the Lord Jesus is indeed a Good Shepherd who is taking care of His flock in Ethiopia. All of this reminds me of a very important lesson about the Christian life. Christianity is not a matter of rules and regulations, quotas and ratios, mathematics and percentages. The Christian life is a relationship with the Lord Jesus, who said "It is more of a blessing to give than to get," and who modeled for us the grace of giving. Happy the Christian who gives, and who gives out of a joyful, grateful heart. Below: A few of the many children in Alaba who are memorizing their 9 passages of Scripture so that they can receive their very own Amharic Bible. When they have completed their memory work I draw their portrait whenever possible. 8:43 AM A new missionary has arrived in Ethiopia. Give his site a look-see, then say a prayer for him as he assimilates to a strange culture. 5:11 PM My syllabus for Intermediate Greek Exegesis is done. I'll post it to the seminary website on Tuesday. 5:08 PM Today we butchered one of our beef cows. We started at 7:30 and finished at 3:30. The result? Several hundred pounds of lean, hormone-free meat. 7:30 AM Christ as teacher. 7:23 AM An earthquake in Basel? It's true. 2:34 PM Check out Missions Map Project Ethiopia. 1:08 PM The latest addition to our home page is called Aflame for the Gospel. 10:52 AM In this excellent piece the Independent discusses the imbroglio in the Horn of Africa and the likelihood of all-out war. 8:51 AM This time next week we'll be in Khartoum. A week from tomorrow we'll be having dinner in Addis Ababa. Becky's eager to get back "home," and so am I. When we step off the plane in Addis, Becky always remarks, "Can you smell it honey? It smells just like Ethiopia!" I'm working up our itinerary to post early next week. 8:44 AM This week the faculty said goodbye to John Sailhamer, who leaves us for Golden Gate Seminary's Brea Campus in Southern California. Nice move, John. Other than the smog, floods, riots, earthquakes, and fires, SoCal is a great place to live. Just kidding. You'll like the Brea Campus. I taught there adjunctively for several years when I was on the Biola faculty. Becky and I wish you and Patti all the best as you turn a new page in your life. 5:43 PM Just back from South Boston, where we're been painting the bedrooms. Nate to me as soon as we get home: "Which got more paint, you or the wood, Dad?" Everyone's a comedian. We just welcomed an old friend from La Mirada, CA, who is visiting overnight. I can hear Becky cooking up a storm -- all farm fresh food, of course. 7:35 AM DBO announces its Person of the Year. 7:25 AM I finally understand why Nathan is so much more gifted than I am. 7:21 AM Here’s a first for me. The Norwegian Library for Talking Books and Braille has just informed me that my New Testament Textual Criticism is being produced as a talking book for the blind. I am fascinated with the pluck and courage of the visually handicapped, like my college roommate who was completely blind from birth yet who played classical piano as well as the clarinet in the college orchestra and who was fluent in 5 languages. Amazing. 7:15 AM Andreas Köstenberger and David Croteau have published two protein-rich studies on the subject of tithing. Both are .PDF documents. Go here and here. I might add that the section on New Testament principles of giving in part two is outstanding. 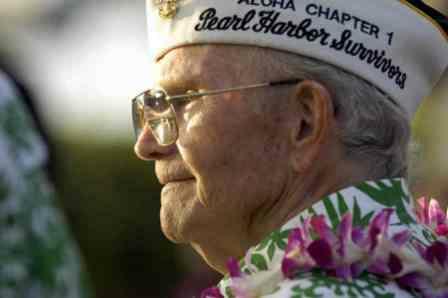 7:12 AM Today marks the sixty-fifth anniversary of the attack on Pearl Harbor. When the day was over, 2,335 U.S. military personnel and 68 civilians had been killed. Survivors of that fateful day tell their stories here. The parallels with 9-11 are eerie. U.S. government officials in both 1941 and 2001 were hardworking, dedicated, and for the most part intelligent, yet all were fallible, capable of grave mistakes of omission and commission. Both events were so sudden, so unexpected, so spectacular, so tragic that they are forever seared into our national consciousness. Neither attack was an act of God. Admiral Yamamoto and bin Laden initiated and carried out a risky, unthinkable plan with iron determination and fanatical dedication, and in both instances their enemies were caught napping. The attacks provide a classic example of the old truism that history is prone to repeat itself. A tip of the kepi, then, to all those Pearl Harbor survivors who, for the last time, are meeting today to honor their fallen comrades who perished in a battle that took place in the middle of an ocean ironically named Pacific. The reason, of course, is that most people who insist that you love the country or leave don’t have any clue what it means to love a country. If you love a friend or family member or close companion, does that mean never being critical when you think the person is doing something wrong? If you think a brother or mother is not reaching his or her full potential, are you supposed to look the other way, and just think, “My family, right or wrong”? If your country, which you love, is acting, insofar as it is possible for such a collective entity to act, in a disappointing, unacceptable, or downright evil manner, is it really love and devotion to that country to look the other way or cheer on the egregious behavior? Yes, There’s a (New) World (Order) of Difference between Patriotism and Nationalism. 7:00 AM “Why, you’re going to miss Christmas and New Years!” I've heard that statement several times recently. No, quite to the contrary, Becky and I are not going to miss out on anything when we leave for Ethiopia next week. In ultimate terms these things are all secondary, and we have begun to view all of life in ultimate terms. Paul set for us the example. His great concern was that “Christ will be honored in my body, whether by life or by death” (Phil. 1:20). As far as Paul was concerned, things like success, wealth, or even health were secondary matters. What mattered to Him was knowing Christ and making Him known. And yes, there is a price to be paid. When the daughter of General Booth of the Salvation Army was asked the secret of her power, she replied, “First, love; second, love; and third, love. And if you ask me how to get it, I answer ‘First, sacrifice; second, sacrifice; and third, sacrifice.’” As Christians we are called upon to sacrifice ourselves for the blessing of others. It’s just that simple. That’s why Becky and I are constantly asking ourselves, “What’s thebest use of our time, our resources, our health, our abilities?” All of life is to be seen as a responsibility to please the One who has called us to be soldiers in His army. 7:24 PM My heart aches for the seminary family who just lost their 5-year old son to an accidental gun shot wound to the head. All of us run into our share of storms, but this one is unimaginable. We do not have a Christianity that denies the existence of sin and pain and death. Our Lord recognized that “in the world you will have trouble.” Trouble is a reality. But Jesus has overcome the world. “Be of good cheer,” He says. Jesus is greater than anything – anything! – the world can throw at us. Jesus makes the difference. And praise God – the day is coming when hospitals and graveyards will be forever past. 6:58 AM The latest addition to our home page is called A Gift at Christmas. 6:54 AM Today I'm painting over at Nate's remodeling job. Then tonight Becky and I have our first orientation meeting with the Tabernacle/Union Chapel Ethiopia Team. Sometime I'd also like to type up the syllabus for next semester's Greek exegesis course on 1 Thessalonians. We'll see. 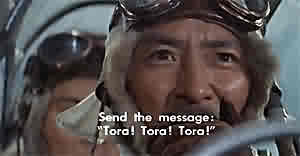 The big question for us this week is: When will we watch "Tora, Tora, Tora"? We can't view it on the 7th since we're having an overnight guest that day. 6:46 AM King George the Fifth had as one of his rules of life: "If I have to suffer let me be like a well-bred animal and let me go and suffer in silence and alone." My Thoroughbred Traveler, a former race horse, has been alone now for over a year, ever since we lost my Arabian Cody to cancer. I know it's been hard on him. Because I'm so busy at school and on the farm, Traveler is not being ridden as much as he ought to. Every riding horse needs constant work, none more so than a pure-bred horse. Because Traveler is so hot-blooded and temperamental, when I do ride him it takes everything out of me. So what to do? This question has topped my prayer list for weeks. He loves hacking too much to limit him to a few canters around the pasture. In Carolina I had a 5-mile cross-country course I would take him on 2 or 3 times a week to air him out, but here that's impossible. Perhaps I should trade him for an older horse. He needs someone who can exercise him regularly, daily even. Alas, my poor lonely "well-bred animal," we used to ride all the time. What am I to do with you, my wonderful friend? 6:40 AM Becky has just written a piece called Building in Bedene, the story of the churches that the Lord Jesus is building in one section of Alaba and the severe persecution that continues there. Let us never forget that there are still countries in the world where it is a physical agony to be a Christian but where believers would sooner abandon their liberty than abandon their faith. As I think about the young men who are being persecuted by their families in Alaba, I remember that Jesus' own family did not understand Him and were even actively hostile toward Him. Once they tried to restrain Him because they thought He was crazy (Mark 3:21). Imagine! Jesus' own brothers did not believe in Him. John 7:5 says as much. What turned the contempt of the brothers of Jesus into belief and admiration? Nothing less than the love of Christ. "He appeared unto James," Paul reminds us (1 Cor. 15:7). The outcome of this was that James and later Jesus' other brothers (see Acts 1:14) believed in the One they thought mad and whose enemies they once were. I believe with all of my heart that our God has the power to do the same thing today in Alaba. The Gospel is the triumph of love over all that hatred can do. 6:36 AM A big Monday shout-out to John Davis and the entire Northeast Piedmont Choral who gave a marvelous convert last night in Franklinton, NC. The guest harpist was phenomenal. Berlin emerged gaunt and barren through the morning mist as the Sagan train shuffled on, absorbing apathetic early-morning commuters at every halt. 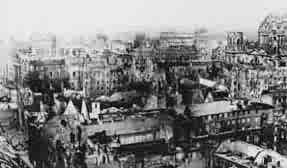 The dim black-out lights in the corridors paled as Wings took his first sleepy glimpse at a city after a night's bombing. From the train, at least, it was not especially dramatic. A few trails of smoke and haze drifted across the ragged skyline. Some buildings spilled rubble across deserted streets; blackened shells of others stood silent, their boarded windows as expressionless as the eyes of the dead. What impeccable prose. More later on the adventures of Wing Commander Day. 9:36 AM In a few minutes Becky and I will be off to Tabernacle Baptist Church near South Hill, VA. We'll give a brief overview of our trip and say our goodbyes. God has given Tabernacle a huge heart for the world, not only Ethiopia, and it's our joy to partner with them in missions. I'm beginning to sound like a full-time missionary, aren't I? Well, I guess I am. Every believer is. 9:25 AM There's no better way to learn the ways of the country than to sit yourself down with your rural neighbors, as we did last night, first over dinner at a seafood restaurant then in their comfortable living room. Moving to the country and recovering the old way of life is still possible, but it takes a lot of grace. T. G. told us stories one after the other. As children growing up in the 30s and 40s. As a young man from Virginia proposing to his bride-to-be from Carolina (now that was crossing a line). Pulling pranks on the old folks (how did that wagon get up on the barn roof?). Our neighbors reflected back on a slower era, a quieter time, and in their eyes and laughter we got a fleeting glimpse of life without gadgets and toys and computers. The good life, some would say. Sometimes I have a hard time understanding the local brogue. When I finally deciphered "sutt" to mean "soot," all 7 of us broke out in ribald laughter. I'm discovering how much I love this part of the world, am fascinated by it. And I'm glad to say that these neighbors of ours are glad we're here, sharing with them the joys -- and harsh things too -- about life in Southside Virginia, its economy, religion, politics, loyalties, social patterns. I am not doing all this as a disinterested student researching a doctoral dissertation. It's really my own life I am learning to understand. I would offer these neighbors a "shout out," but websites and blogs aren't part of their world. And it's just as well. 9:57 AM Right now I'm getting ready to enjoy a bagel before we go off to repair a neighbor's barn roof. Tonight we are getting together with a couple of families for dinner at a fish restaurant. In between I think Becky's got some flannelgraph for me to do. I'm not "cut out" for that kind of stuff but I'm glad to help. Have a great day, yall. 9:55 AM A good friend of ours just gave Becky Lynn some specialty coffee creamer to "make you feel elegant." Well, it worked. I like it too! Thank you, special friend (you know who you are). The whole aim of Greek is to enable disciples of Jesus Christ to know Him more deeply, love Him more dearly, and follow Him more nearly. To that end, I pray for all of you daily. 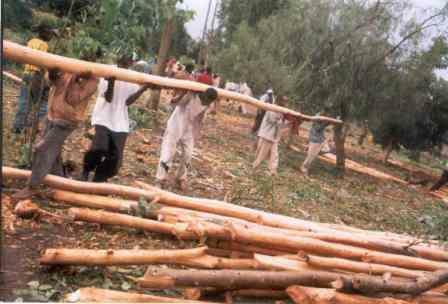 7:33 AM Earlier this week Becky reported about the new church buildings that are going up in Alaba, which is 99 percent Muslim. (If you haven't read her report yet, please go here.) Here are some pictures we received of this marvelous work. Isn't this exciting? 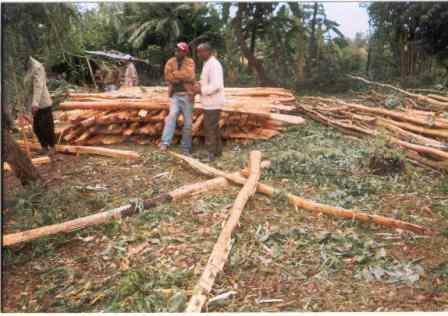 A reminder: believers in America are funding the materials for these buildings (such as tin for the roofs and concrete for the perimeter foundations), and the Ethiopian believers are providing the volunteer labor. Unlike many missionary organizations that charge 15 or 20 percent for administrative overhead, Becky and I fund all of our own expenses, so that every penny that is sent to us goes directly to the Lord's work in Ethiopia. In addition, we work directly with the elders of the local churches. They, not we, dispense the funds, then they give us an accounting and we pass reports on to you. On our trip we will be visiting these churches and getting up-to-date-information on their progress. We can't wait. In the meantime, take a moment to reflect with gratitude on the enormous significance of these photos. These churches are in the very heart of Muslim territory. 6:56 AM Well I've decided. The book we'll be studying next semester in Greek exegesis is 1 Thessalonians. Prerequisite: 3 semesters of Greek. And yes, even if you've had an exegesis course before you can still take it (as long as you didn't study 1 Thessalonians). You may have never given a great deal of thought to the evangelistic thrust of this short epistle. It's so easy to get caught up (no pun intended) in the rapture debate. Happy is the Christian who is content to look into the Savior's face and hear His voice saying, "Well done, good and faithful servant." Let me ask you this question: Do you constantly seek the highest good even of people whose eschatological views are different from your own -- or whose temperaments prevent you from even liking them? We don't have to like other people, but we do have to love them, sacrificially and to the point of inconvenience if necessary. That's the message of 1 Thessalonians. It's my conviction that if all Christians could grasp this, their lives would be wonderfully enriched. By the way, I'm anticipating a small class, so there will be ample opportunity for participation, and I'm even toying with the idea of letting you lead the daily discussions. At any rate, I'll try to get a preliminary syllabus up on the web before I leave on the 14th. 6:19 PM Inquiring minds want to know: How many students earned the much-coveted 110 Award on their Greek exam this week? A grand total of 3. And it was a really tough test. Congratulations to all. You'll get your book next Tuesday. 6:06 PM I'm sitting here at the computer reflecting on how good the Lord has been to me today. I just spent an hour with the animals. I fed hay to the cattle and goats (and Trav, of course), I bottle fed 5 calves, I helped Nathan spread manure in his fields, and I played with Shiloh and Sheba. We've separated out the cow we'll be "doing" in about a week. We've needed to replenish our beef supply for a while now. Earlier today I painted for 6 and a half hours over at the house Nate's remodeling. Tomorrow we'll do the same. Becky has been putting together her flannelgraph sets all day. She has decided to make not 3, not 4, but 5 sets on the life of Jesus for the rural churches in Alaba. Where she gets the drive, the know-how, the self-discipline to do all this, I have no idea. Then again, I do. By the way, our new wood stove is a great success. I just checked the thermostat -- it's currently 78 degrees indoors. We replenish it either twice or three times a day, and it keeps the whole house heated night and day. The trick is to keep the fan running to help circulate the warm air. It's been a high learning curve for me, this farming business, but I wouldn't exchange it for all the beach houses in Malibu. One more thing: Exactly two weeks from tonight we set sail for Ethiopia again. 6:40 AM This week and next in Greek class we are covering the middle and passive voices. Which raises a question. Do you know where most Greek students go wrong? With the verbs. That's a common obstacle in learning a foreign language. I once asked a student how he was doing with his theological German. 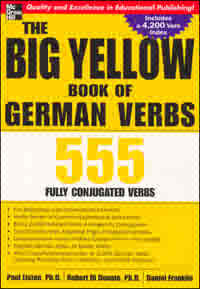 "My German is good," he replied, adding rather apologetically, "except for the verbs!" No one can speak another language without verbs. A sentence is incomplete without them. The same thing is true spiritually. A genuine Christian is recognized by his or her "verbs." They not only acquire truth diligently but apply it diligently in their lives, proving (as James puts it) their faith by their deeds. Paul would agree. "Don't neglect to do good," he wrote in Heb. 13:16. (Did I actually say "Paul"?) Biblically, a do-gooder" is not some spineless twirp puttering around the churchyard. He is a true follower of his Master, who "went about doing good" (Acts 10:38). Christians need never be ashamed of a spirit that draws them to help their fellow man, sharing with them the good things the Lord has given them. Indeed, followers of Christ ought to be the most generous, open-hearted members of society. So as Becky Lynn and I prepare to return to Ethiopia, our goal is quite simple: to share our goods and gifts with others. Again, the apostle Paul is quite explicit on this subject: "So then, as we have opportunity, let us do good to all men, and especially those who are of the household of God" (Gal. 6:10). I don't mean that those who are committed to doing good are flawless or perfect. But even imperfect people can be beautiful if they handle their humanness with integrity. What counts is consistent, faithful living. The main thing is to get the focus on Christ and what He has done. Once you fall in love with Him you'll be a do-gooder -- and you'll do everything you can to introduce others to Him. 6:56 AM A teacher at the University of Basel defends a chiastic structure for Hebrews. 6:52 AM This afternoon and tomorrow morning I'll have one main goal: to grade all 40 or so term papers that are due today at 2:00. My plan is to have them marked and returned by tomorrow's class meeting. That's the plan at least. This has been my "policy" for the past 30 years of teaching. I t's simply my personal preference. I've never used a grader to grade term papers, I usually try to leave a few notes on each paper, and I assign the final grade myself. I try very hard always to return exams and papers the very next class period, whether that comes the next day or the next week. I think students have certain "rights," and one of them is to have their papers graded by their profs (and not by a T.A.) and to have them returned in a timely manner. When I was in seminary I simply could not understand why my papers were not graded by my professor and why I had to wait sometimes up to several weeks before getting them back. Not good pedagogy. Another reason why I grade the papers myself is that I genuinely enjoy reading them. 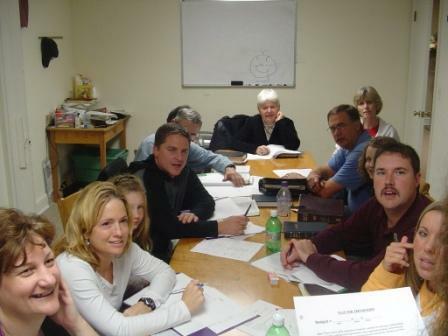 Most of them are quite well written, and since the students can chose their own topics, the papers tend to reflect a high level of excitement and enthusiasm. All in all, a very workable policy, if you ask me. Just my two cents. 6:45 AM Ethiopia issues Somalia threat. 6:41 AM The elders of the Alaba church have met and have sent us our ministry assignments. We'll be visiting the villages/districts of Dada, Bedene, Keranso, Mogdola, Galaya, and Kukae. 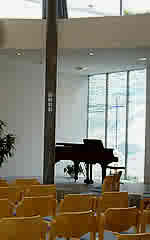 (And taking lots of pictures of the new church buildings!) All in addition to ministering in the "town church" of Alaba. Becky will have a very full plate: teaching "the women from all denominations," teaching Sunday School teachers, teaching English to the elementary school teachers, and interviewing people for her book on the history of the Lord's work in Alaba. They've got me teaching "all ministers from all denominations," preaching numerous times in several different places, and meeting with the Alabinya translation team. Good news: The team has completed the entire Gospel of Mark and is half way done with Luke! I'll also visit Mohamed in prison. Yes, we'll publish a detailed, day-by-day itinerary just before we leave so you can be interceding. Am I excited? Are there cows in Texas? The Gospel is the magnetic North Pole of the church. All goals, all choices, all directions must be determined by and subject to that one great reality. 9:20 AM They're all around you. I'm talking about your natural networks for evangelizing. This time of year there's a gift you can give, especially to the elderly. Clean out their rain gutters. Their family members should do it for them but probably won't. Get out your ladder and do it yourself. Or cut down a tree. Or rake a lawn. The goal is to become a genuine friend. To show others that Jesus loves them. And that you do too. The present is a time not for ease or pleasure, but for earnest and prayerful work. A terrible crisis unquestionably has arisen in the Church. In the ministry of evangelical churches are to be found hosts of those who reject the gospel of Christ. By the equivocal use of traditional phrases, by th e representation of differences of opinion as though they were only differences about the interpretation of the Bible, entrance into the Church was secured for those who are hostile to the very foundations of the faith. And now there are some indications that the fiction of conformity to the past is to be thrown off, and the real meaning of what has been taking place is to be allowed to appear. The Church, it is now apparently supposed, has almost been educated up to the point where the shackles of the Bible can openly be cast away and the doctrine of the Cross of Christ can be relegated to the limbo of discarded subtleties. 9:17 AM Tomorrow's the big day. The million-dollar question, of course, is: How many students will earn the 110 Award on their mid-term exam? Two? Five? Ten? The more the merrier! 9:04 AM Good Morning! Nathan Black here. I have been asked by the website administrator (aka Dad) to take you along with us on our excursion yesterday afternoon around Mecklenburg county Virginia looking for old places. We took the camera to document what we run across, as many of these places are in considerable decay and may not be around much longer. First stop is an early Federal style house near Chase City that is probably late 1700s. Several of the rooms are severely rotted, but amazingly the inside architecture is completely intact, revealing some of the finest in early carving and woodwork. Here is the mantel in the parlor. The wainscoting is one board (26" wide)! The house has an unusual floor plan. On the first floor there is a central hall and a room on each side, but there are two different staircases, one in the hall and one in the left side room. The upstairs is divided by a wall and you cannot get from one half to the other without going down and back up the other stairs. This makes me think it was originally a tavern (one side for guests, one for family). It also has a basement with two large fireplaces and a pantry. This picture shows the corner stair in the other parlor. Here we have a late 1800s church meeting house that is now privately owned and has been restored. And just a little down the road is the Methodist church. In this area, Baptist churches went through tremendous growth during the 1950s and 60s, so almost all of the Baptist buildings date from that time. It's only the churches that didn't really grow that now have historic buildings, as all the others were torn down for bigger ones. Given last week's 3-4 inches of rain, every bridge is close to the water. Talk about high water! Here we have another early house. This is still in restorable condition, but has been uninhabited for about 20 years. It is unusual in that it has two windows in each side room instead of the usual one. This house probably dates from around 1800, and also has some beautiful woodwork. Transition Georgian/Federal style woodwork at its best. The rear of the house shows how houses were added to and rebuilt over the years. The single room story and a half section in the back is probably original to the house. It has a large fireplace in the basement and was more than likely the kitchen. It was later connected to the "big house" with a one room addition (see changes in roof lines). A pantry was connected later. I say connected because it appears to be an old outbuilding that was moved to connect with the house at a later time. The back porch has succumbed to the test of time. We are near "Buggs Island Lake," which is one of the largest lakes on the east coast. It was built by the US Army Corp of Engineers in the early 1950s, long before the appreciation of historic buildings that is seen today. In the early settlement of Virginia, before railroads and "plank" roads, rivers were the main transportation, so towns and plantations grew up along the river before the inland areas were settled. According to a local old timer, there were 52 plantation houses that were buried under the lake. There is even a complete town, Old Soudan, that is underwater. You can drive down the "old" highway until the pavement just disappears underwater! In the historic town of Clarkesville, you cross the bridge and come to third street, first and second being underwater. Of all the old homes that the lake covered only one was saved. This house below was placed on logs and rolled up the hill to a safe location, the water being a stone's throw out the back door. Boydton, our county seat, was also the location of the first Methodist College in the United States. In 1830, the Randolph Macon College was founded, being named after John Randolph and Nathaniel Macon, both influential politicians of the day. It was a tremendous brick building 50 feet tall and consisting, on each floor, of four halls, twelve regular rooms, two smaller classrooms, and one large classroom. The center section contained the classrooms, and the wings had the faculty offices on the lower floors and student boarding rooms above. The students worked on campus. Early records show that there were "woodcutters" to supply the school's 56 fireplaces for heating, housekeepers, teacher assistants, and various other labor positions. The local economy crashed after the war, and in an attempt to revive the popularity of the college, the presidency was offered to Jefferson Davis. 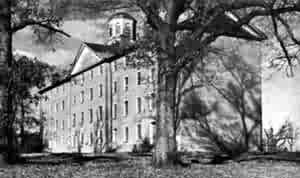 He declined, and the school was moved in 1868 to Ashland VA to become the Randolph-Macon Women's College. 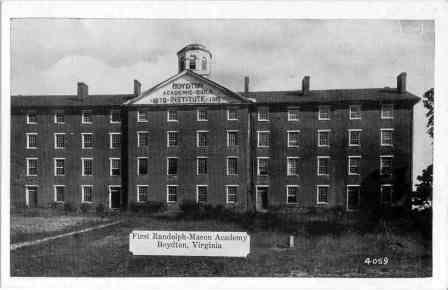 In 1870 a black teacher purchased the building and it was renamed the Boydton Academic and Bible Institute. This school taught black pupils for almost 50 years before closing its doors for the last time. This old postcard shows the college building in the 40s after it ceased being used. And today it is a collapsing ruin. Only the left side of the structure remains, and that is steadily decaying. The structure was built in the late Federal period, and a closer look at it shows the craftsmanship involved. The 18" thick brick walls were laid in Flemish bond, which creates a diamond pattern in the wall. The halls had double doors and transoms over them. Each window had 24 panes of glass (except for the 4th floor) and the ceilings were twelve foot on the first two floors, then ten and nine. The photo below shows the end wall, which was standing intact one year ago. The floor joists sat in pockets in the brick walls. This made for a very strong floor system. Unfortunately, as the floor joists rotted and broke loose on one end, this put a lot of diagonal pressure on the pockets which they sat in on the other side until the wall eventually gave way. The building was two rooms deep, and here you see the front chimney on the far left wall of the original building. When the wall fell, it dissected the chimney at the weakest point, where the flues are. In this picture you can see the different flues from each floor as they rise to the top. There is even a beautiful columned mantel still attached to its fireplace upstairs! When I first found this building five years ago (trees have completely grown up around it), I walked all through it, all the way to the top floor. It was solid then, although the roof was leaking badly in several places. It was packed full of old school furniture, tons of books from the "old days," even two old organs! It shows what a few missing shingles will do in five years! Beside the old college is the "superintendent's" house, built during the time of the black school (late 1800s). It has also been abandoned. 9:23 AM Right now I'm putting the finishing touches on my teaching about asking (not praying, but petitioning God) from Matthew 7. This morning I'm back at Antioch Baptist Church in beautiful Charlotte County. In the past several days the Father has specifically answered 3 urgent petitions I brought before Him in desperation. Truly, "good things" is what He delights to give us! 9:15 AM Only 18 days. "Obey your leaders, and submit to them; for they keep watch over your souls, as those who will give an account..."
At first glance, it looks like we are going back to the old system. doesn't it? But that is not really so. The writer actually chooses two special words here. The word for "submit" is only found here in the New Testament. It does not mean "rank under" as the other words for submit used in Scr ipture do. Rather, it means to yield, or withdraw. That is a little different. As you consider the elders, the outcome of their lives and how they lead you through teaching the Scripture, are you willing to withdraw or to yield to the truth that they present? That is not the same as standing under, in a military sense. And then the word "obey'' has in its foundation again a special word. It does not mean to accept orders. Rather, it means to be persuaded. Consider what these godly men say, be willing to be persuaded, but clearly. they must demonstrate the truth that God has them to speak. Do not merely take blind orders; but be persuaded. Now I trust that you have seen that an elder fits the same pattern as all the other leaders do. His authority, ultimately, still comes from the body and the willingness of the body to follow his leadership; and that his evaluation is also on a qualitative basis. 2:07 PM Our farm project du jour? Installing an old wood stove in Bradford Hall. You never know when you'll need it. We're at the tail end of the local power grid, and an ice storm can leave us sans power for up to two weeks. As usual, I helped with the grunt work while the pro handled all the details. O, I'm also the farm photographer, in case you hadn't guessed. 8:52 AM We had our Thanksgiving meal last night. We were joined by the Rondeau family and several of their friends from the Oxford Orphanage. Our tradition is to start off by singing a hymn written by Becky. This year that job was assigned to me. After our hymn sing, we enjoyed a marvelous supper of fresh turkey and venison with all the frills. After the meal we lumbered into the library to watch a beautiful Moody Science film called "This Is the Day," then it was back to the dining room for dessert and a sweet time of sharing. Not scheduled was the impromptu romping that took place after meal, much to the delight of participants and spectators alike. A truly wonderful evening. Here are some pix. 8:17 AM Mrs. Julie Austin has reminded us of the importance of seeking the answers to our questions in the Bible and not in any Bible teacher. This is a lesson I've had to learn and re-learn throughout the years. When I left Hawaii to attend college in California I somehow began to drift away from the beauty and passion I had known when I first followed the Lord as a radical Jesus Freak. As I became more and more involved with my studies, I realized the absolute importance of historic Christian orthodoxy and the need to affirm the complete authority and inerrancy of the Bible. I have never abandoned these principles, but at the same time I have come to realize that there is something profoundly wrong with a Christianity that is overly intellectualized. I had to come to terms with my own spiritual deadness and spiritual pride, to learn to walk by faith again and not by sight, and to return to the simple Christianity I had known when I first followed Christ. Nothing in my life and ministry really matters if there is no spiritual reality at the core of my personal walk with God. Above all, I began to look less frequently to men for guidance and to seek the Scriptures on my own. To be perfectly honest with you, I have more than once considered shutting down DBO lest people read it more than they read their Bibles. I am constantly reminded of my own frailty and my own need of God. Like every other Christian, I am a broken person and in constant need of God's saving and sanctifying grace. I have little or no desire to fight against American statism in my flesh let alone deal with the more trifling issues of politics. Not that I think our national problems are less severe, but I have come to realize that the basic answer to our national problem is each of us living out our Christianity in complete dependence upon the Holy Spirit. I am beginning to see that the doing of Christianity is far more important thantalking about it. Just because we may be certain about what ails America doesn't mean that God's blessing will rest on as a nation or as individuals. The Lord is reminding me that the main thing in life is serving Him by seeking the lower seats and being willing to lose one's life in His service. We must realize that only the Holy Spirit can bring about lasting change in our homes, our communities, our nation, and our world, and He does this not through political machinations or ecclesiastical power plays but by transforming selfish people into selfless people. I am glad for the years I lived outside of the United States, for they have helped me to see just how dark and sinful my beloved country is and how self-righteous the church has become. In what I am saying I am surely the most guilty, but the evangelical church in America tends toward loyalty to organizations or movements or men more than loyalty to the person of Christ. To me there is no alternative but to wrestle with the meaning of the Lordship of Jesus Christ as it intersects my living, my writing, my teaching, my serving. It does no good for me to be involved in restoring our churches or our nation if at the same time I forget what the main purpose of the church is -- to share the love of Jesus with every person in the world. Without this love for Jesus and service in His name the tendency is to transfer our loyalties to men. With this often comes the politicizing of the church, an emphasis that disturbs me greatly. So we must be careful to seek the leading of the Lord in the totality of our life, living in such close fellowship with Him that He shows us our path. This is really the only reason Becky and I got involved in mission work in Ethiopia in the first place, for the leadership of the Lord was so clear that not moving forward would have been disobedience. I really am overwhelmingly touched when I think of what the Lord Jesus is doing among the neglected and persecuted believers in Alaba and Burji, whose love and faithfulness Becky and I have been privileged to witness first-hand. In all of this I am learning that Christianity is for weak people whom God loves just as they are, whether they are Republican or Democrat, Baptist or Presbyterian, home schoolers or government schoolers, charismatic or non-charismatic, pro-war or anti-war, black or white. He expects them to honor Him according to the light He has granted them along the way and to bring their failures under the blood and leave them there. It is really wonderful to know that we do not need to have our act together totally for Him to use us as long as we have an adequate grounding in His Word and are sensitive to His leading. In our fallen world things will always be abnormal, but it is very much in God's power to do something about it if we would only be faithful to our calling and put aside our own selfish ambitions and esteem others as more important than ourselves. It will not do merely to debate the emerging church or the last twelve verses of Mark or the virtues of this or that political party. (Here again, I am speaking more to myself than to anyone else.) Nor must we spend a lifetime ruing our own past failures and present inadequacies, as though our relationship with God is a purely pietistic exercise in religion. Knowing the truth of Christianity, and affirming the authority and inerrancy of the Word of God, means engaging in those good works that He has foreordained for us (Eph. 2:10) or it means nothing at all. Please, then, do not follow any man. The best any of us can do is to point you to the Scriptures. Let the Bible, and the Bible alone, be your daily companion and guide, and follow it with complete confidence that the Lord Jesus delights in using the weak to confound the strong and fools to confound the wise. 7:59 AM How large is your "comfort zone"? 7:56 AM Greek students, just wanted you to know that I'm praying for you this week as you take your exams and write your term papers. Remember: They're due next Tuesday. Email me if you have any questions. Have fun, and see you soon! 7:43 AM Over at Sets 'n' Service the writer has a cool discussion about his top 5 surfboards. He's obviously into long boards. I bought my first board when I was 10. It too was a long board, as were all boards back when the ark landed on Ararat. It took two of us to carry it to the beach. It was an old (now classic) redwood board. I wish I still had it today. When I could afford it I went upscale and bought me a foam and fiberglass board (they had just become popular). It cost me a total of 10 hard-earned bucks (I mowed lawns for a living). The nose had been ripped off by coral, but who cared? I still have the scars from the fiberglass shards that stuck out of the broken nose. After that I remember getting a brand new board for my birthday one year. It was red. Now that was cool. In high school I shaped 3 of my own boards with the help of a surfing buddy from Kailua High School (our school nickname, by the way, was the Kailua Surfriders). The board you see below was (and is) my dream surfboard. I designed it myself, and it was shaped by the famous Bill Stonebraker of Honolulu. 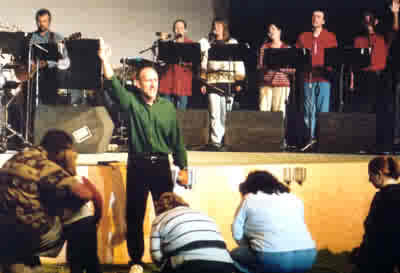 (Bill is now pastoring a Hope Chapel in Hawaii.) We call this kind of a board a semi-gun because you can use it for smaller waves (in Hawaii, that would be anything from 5-10 feet) as well as the big stuff (I've ridden waves up to 25 feet, measured from the back). Where has this yellow dazzler taken me? Kailua, Waimanalo, Ala Moana, Waikiki, Diamond Head, Pupukea, Pipeline, Haleiwa, Makaha, Sunset Beach, Chun's Reef, Maui, Huntington Beach (CA), Imperial Beach (CA), the Outer Banks (NC), inter alia. All without a leash, I might add. Am I getting hopelessly nostalgic or what, dude? 7:36 AM Over at the Better Bibles Blog Wayne Leman has a wonderful essay on the topic of "naturalness" in Bible translation. Just yesterday in fact I emailed the translation team for the new Alaba Bible Translation, with whom I will be meeting in about 3 weeks. Three native speakers of Alabinya (an East-Cushitic language, for you techno-geeks) are working full-time on the base translation, and I will check it (via back-translation) against the Greek. I agree completely with Wayne that naturalness is an essential element of translation. I would suggest that no one should be involved in an English Bible translation project unless he or she can speak another language fluently (e.g., German, French, etc.). A monolingual person can't possibly understand the difficulties in trying to make oneself understood in a foreign language. And by "fluent" I mean this: being able to teach or preach or pray in that language, not just being able to order a burrito, if you know what I mean. Speaking of Wayne Leman, I just noticed that the ISV site has published his comparison of the ISV New Testament with the NET Bible. 7:26 AM Becky worked yesterday, so today is our turkey day. We'll be joined by 8 friends. I recall living in Basel and Thanksgiving rolling around. The expat population was so large that the grocery stores (such as they were) stocked Butterball turkeys just for the Amis. It was a nice taste of home. By the way, if you went straight out of our apartment and walked one block to the Rhine, this would have been your view. ... and much, much more. Happy Thanksgiving from Rosewood Farm! 10:21 PM We had a superb service. Brother Tilley of Buffalo Baptist Church brought a wonderful message, and after the service was over our men's group sang our hearts (and voices) out for about 45 minutes just for fun. A little ice cream, a good book, and a blazing fire to round out a fine day. 5:11 PM Just back from helping Nathan all day with a house he's renovating. Since I am a card-carrying member of the UWA (Unskilled Workers of America) he gave me all the really "hard" jobs like removing outlet covers, assembling fans, and painting the laundry room. Every time I'd take a break he'd crack, "Did you remember to clock out, Dad?" or, "I'm gonna have to deduct that from your paycheck, Dad." As always, we had a blast working together. Right now I'm getting ready to fix supper, then our men's group is singing at a 3-church Thanksgiving service starting at 7:00. Becky's working today. All for Ethiopia. I miss her. 7:43 AM The latest addition to our home page is called Evangelism: Show and Tell! 7:40 AM Here's one reason we are so committed to taking as many pre-natal vitamins as possible for Ethiopian mothers this December. 7:35 AM What's next for Sudan? The US is poised to go to "Plan B" on Jan. 1, and I don't think that rules out military action. We'll see. By the way, Becky and I have a stopover in Khartoum on Dec. 15. The Genevan archives hold hundreds of letters containing Calvin's pastoral and practical advice on establishing underground churches. He did not just send missionaries; he invested himself in long-term relationships with them. Read Calvin the Evangelist. And here's a lady who also believes in missions, serving-style. 1:26 PM More good news! Our friend Ricky Allgood, director of the Blue Stone High School band, will be raising funds for Ethiopia at their annual Christmas concert in Chase City, VA. The date is Dec. 10. Time: 3:00 pm. Venue: Robert E. Lee auditorium. Becky and I will be speaking very briefly to say "thanks." 12:42 PM Good news! I just finished writing a major essay on NT Greek for a new Study Bible that promises to outdo all the rest. My deadline was March 1 but there was a financial incentive to finish before Dec. 1. I think all contracts should have that! Right now I'm listening to the rest of my Greek DVDs. What I've seen so far has been superbly edited. With two video cameras rolling at all times the editor has a lot to play with. He captures the audience responses beautifully. I'm even laughing at some of my inane jokes. 11:06 AM Crossway has announced the publication of Truth with Love: The Apologetics of Francis Schaeffer. 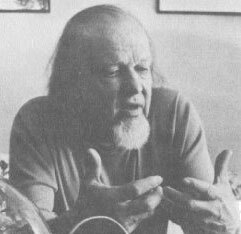 According to the blurb I received today, Schaeffer saw himself primarily as an evangelist. He was a practitioner, not a theoretician. His apologetics were greatly shaped by love for people. O, I want to be a Christian like that! 11:02 AM Just back from Meadowview nursing home with our "boys" -- Caleb, Isaac, and Micah. They passed out peanut butter cookies they had baked here yesterday. It's amazing how just an hour out of one's day can bring untold joy to so many. But I know it was we who received the greatest joy. And how polite the boys are becoming: "Yes, Ma'am," "No Sir," "You're Welcome." Pure delight. Our dogmatic proclamation, our western methodology, and our development projects must be permeated with the incarnate Christ. Let us draw near to share their grief and speak to them. We are not Christians preaching to Muslims; we are not westerners trying to communicate with easterners; we are not the developed seeking to lift the undeveloped. We are fallen men embracing fallen men. We share their grief so they will share the joy of his presence. We are sinners saved by grace, completely undeserving of our salvation. And it is as sinners saved by unmerited favor that we invite other poor sinners to the Savior. Below: Becky gives the gift of a tape recorder to a respected Muslim patriarch in the rural village of Deda, Alaba. He is wearing my plaid shirt. He had asked for a recorder so that he could listen to his favorite music: Christian praise songs! 2:17: "Brothers and sisters, we have been separated from you for a little while. Although we may not be able to see you, you're always in our thoughts. We have made every possible effort to fulfill our desires to see you." 3:2-3: "[We want] to strengthen you and encourage you in your faith, so that these troubles don't disturb any of you. You know that we're destined to suffer persecution." 3:8: "Now we can go on living as long as you keep your relationship with the Lord firm." 3:9: "We can never thank God enough for all the joy you give us!" 3:10: "We pray very hard night and day that we may see you again so that we can supply whatever you still need for your faith." 3:12: "We also pray that the Lord will greatly increase your love for each other and for everyone else, just as we love you." So, a mighty hearty thank you to all of you who are praying, giving, and going. I thank God for your "partnership in the Gospel from the first day until now" (Phil. 1:3, 5). May He richly bless you for your kindness to us and to your Ethiopian family. 9:43 AM One of the principles of missions we're teaching the members of Team Ethiopia is to be sensitive to the leading of the Holy Spirit. If you sense the leading of the Lord to do something, do it. Two summers ago, when I traveled to Alaba to meet with the parents of an 18-year old who was murdered for his faith, I experienced such a prompting. We went out to the village where the family lived and had prayer together. We had just left the village when I saw lights off in the far distance. "What are those lights?" I asked. "That's the prison," I was told. "Is Mohamed there?" I enquired. (Mohamed was the murderer.) "Yes," came the reply. Immediately the Lord told me to go and visit Mohamed. You ask, Was it audible? No, it was stronger than that. I simply sensed in my spirit that the Lord Jesus loved the murderer as much as He loved the victim. The next day the elders of the Alaba church arranged for me to go to the prison. We walked there, about 5 of us. When we arrived the warden asked us to wait in a meeting hall while a jailor went off to summon Mohamed. Within a few minutes the meeting hall was packed with prisoners, curious as to who this white man was. The warden said, "Would you like to address the prisoners?" You can guess that I jumped at the opportunity. I spoke about the love of Jesus to these hardened criminals for about 15 minutes. When I finished my talk, the prisoners began filing out, except for one. There was a young man seated to my left, weeping uncontrollably. I asked, "Who is that?" The warden said, "That's Mohamed." Unbeknownst to me, he had come to the meeting and had heard my entire presentation. He was under the conviction of the Holy Spirit, and I had a chance to speak with him personally and offer him a blanket I had bought for him in town. Since then the elders have visited Mohamed several times, and so have I. On my third visit to the prison do you know what Mohamed asked for? A Bible! And in just 4 short weeks, God willing, I will be back in Alaba, back at that prison, and back with Mohamed. The lesson? Obey the promptings of the Lord. Follow His leading. Be sensitive to His voice. Love all men. 5:42 PM Stop the presses! I just received from our editor in Dallas the first installment of my beginning Greek course on DVD! He sent me lessons 1-5, plus the introduction. I need to review them in their entirety tomorrow. God is good. 5:34 PM It's been an eventful day, to say the least. We drove down to Stovall, NC, to check out an old house that is to be demolished. We'll be taking the concrete blocks from the foundation to use as fill in our farm paths. Then "Black's Gutter Service" cleaned out the rain gutters for some elderly people we know. After that we picked up a new tractor tire and somehow managed to get it back on with just the two of us. We bought 2 new tires for the van, changed the oil in 2 cars, and made a trash run. In about an hour we will be welcoming two weekend guests to Bradford Hall. They are coming in order to enjoy some down time and especially to reconnect with the Lord. We all need this from time to time. This morning at about 2 am I woke up with a heavy burden on my heart. I slipped quietly out of bed and headed for the library and my Bible. After an hour of prayer I was back in bed completely unburdened. That's just like the Lord Jesus. Always there to welcome the weary and heavy laden. I hope you had a good day, and I trust you will have a great weekend. 7:15 AM This BBC report will help you understand why Ethiopia and Somalia are on a war footing. Meanwhile, the Daily Telegraph reports on the worst flooding/drought conditions in Ethiopia in over 20 years. 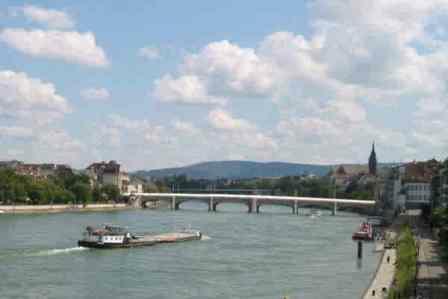 7:12 AM In Basel, some Muslims have complained that the church bells are disturbing their calls to prayer. When we lived there we lived a block away from the Sankt Johann Tor, whose bell tower rang off the hours night and day. It was a bit difficult getting used to. In Addis Ababa, the challenge is sleeping through both the Muslim calls to prayer and the Orthodox chanting. And when we stay in a rural village, we are awakened by the roosters crowing at about 4 am (they live in the hut with everyone else). My philosophy? Grin and bear it. 7:10 AM Darrell Bock and Buist Fanning of Dallas Seminary have written a new textbook on New Testament exegesis. You can read a brief review of it here. 7:05 AM A small tsunami hit Hawaii yesterday. Hawaiians have a curious fascination with what we mistakenly use to call "tidal waves." My uncle once took me to the beach to watch a tsunami. Later, while growing up in Kailua, our family was frequently forced to evacuate to higher ground during tsunami warnings. These usually happened in the middle of the night. There's an interesting paradox at work here. You are aware of danger and at the same time you are attracted to it like moths to a light. At any rate, I'm glad no one was seriously injured yesterday. It could have been much worse. 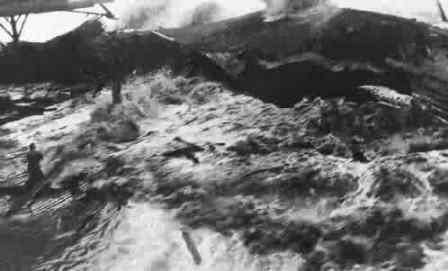 On April 1, 1946, a tsunami destroyed the city of Hilo on the big island of Hawaii, as seen in this amazing photo. Many people refused to flee for higher ground thinking the warnings were an April Fools Day joke. 7:52 AM The latest addition to our home page is called A Heart of Obedience. 7:50 AM Meditations on the Law offers some suggestions for seminary students (and their professors as well) on how to get the most out of their studies. The writer confesses, “Yeah, I’m not the smartest cookie, but I don’t let that stop me. Gird up your loins and work hard.” Those words cheered my heart. 7:43 AM I just received a report about the SNTS meeting that was held this year in Aberdeen. It mentions a discussion that took place at the meeting as to whether the society should allow papers to be read in Spanish. For now at least it appears that only English, French, and German will be permitted. I would hope for the eventual inclusion of Spanish in our meetings. New Testament scholarship in Spain has undergone a tremendous renaissance in the past three decades, and in my opinion there is no need for Spanish-speaking New Testament scholars to have to translate their works into English (as is done today). The journal of which I am a founding editor, Filologia Neotestamentaria, accepts articles in 5 languages (English, French, German, Spanish, and Italian), and one day I would hope to see the same policy adopted at SNTS and in its journal New Testament Studies. Learning to read Spanish is not at all difficult, especially if you know Latin or some other Romance language. 7:40 AM A big Thursday shout-out to my long-time friend Ray Clendenenwho has just been named director of academic publishing for B&H Publishing Group. This bodes very well, I believe, for the publishing arm of our convention. Ray and I worked closely in the past on several book projects, and I am currently finishing a new book proposal to submit to him. Congratulations, Ray. A well-deserved honor. 7:36 AM Why do we have modern worship styles? People seem to like it. 7:32 AM God bless the Scots. There’re now accepting exam answers in text message code (such as CU L8R). 7:30 AM Welcome back, Mr. Hayden. 7:27 AM Read Jonathan Girotti’s take on youth groups. Where does somebody so young get so much common sense? 7:26 AM On Tuesday night I stuffed myself like a boar while fellowshipping with one of the greatest group of students you will ever meet. Our Koreans are passionate about world missions and are great cooks to boot. Chosumnida! Kamsahamnida! Dr. Black, today, at Multnomah, we had a day of prayer. All classes were cancelled, this happens twice every semester, in order to pray for the persecuted church. We prayed for the Christians in Ethiopia for several hours. I hope this news encourages you, as I know you have a great heart for the Ethiopian believers. We have forwarded this email to our brothers and sisters in Alaba and Burji for their encouragement. Glad to see Multnomah is wrapping its arms around the world. 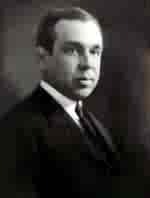 I once had Mulnomah’s former president, Joe Aldrich, as a professor at Talbot in the 1970s. Through his influence God raised up a Gideon’s band of lifestyle evangelists who are still serving Him today. 7:16 AM You can forget about “10-4,” at least in Virginia. 7:12 AM Who said this? "If our Christian faith deviates at all from the Biblical 'Jesus of history,' then to the extent of that deviation we lose the genuine Christ of faith." Answer: John Warwick Montgomery, in his book The Shape of the Past. On Tuesday John was visiting campus from Strasbourg on his way to the ETS meeting in DC and gave a splendid chapel message. 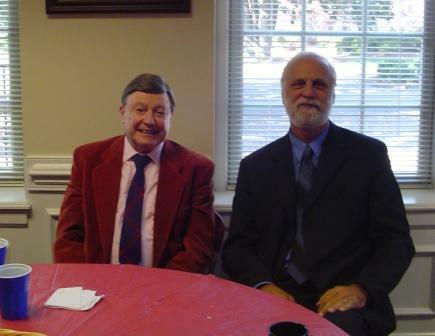 John and I reminisced about the impact Oscar Cullmann, his fellow Strasbourgian, had upon our lives, especially Cullmann's Christology of the New Testament. Like Cullmann, John is a prolific writer and, I note with satisfaction, a fellow Holmesian. 7:10 AM In exactly four weeks Becky and I leave for Ethiopia. The window of opportunity is now wide open in the Horn of Africa. How much longer it will remain open is known only to the Lord. Let’s pray for a powerful work of the Holy Spirit during our visit, as well as for peace between the Burji and Guji tribes. 7:04 AM This is a red-letter day for me because I have just discovered a new word with a Greek derivation. Meet xylothek. 6:56 AM I see that the Germans are now using the apostrophe. Has it really come to that? I remember Becky starting to type my doctoral dissertation in Basel and seeking (in vain) to find an exclamation point on her German-built typewriter. “Every sentence in German is an exclamation,” I joked dryly. My poor wife, having to type dissertationese on a foreign typewriter! 6:51 AM Did Spurgeon use altar calls? 5:27 AM Becky and I spent almost 3 hours last night meeting with the Ethiopia Team from Bethel Hill Baptist Church. I spoke from Acts 11, then Becky walked everyone through their first orientation session. They signed a waiver (Becky and I cannot guarantee their safety!). They learned some basic Amharic expressions. They were told which vaccinations and shots they needed. They were introduced to the history and geography of Ethiopia. Finally everyone checked out a book from our "missions library." Here's the group practicing "amasagenalo" ("thank you!") in Amharic. We took mug shots of every member to take with us in December so that their Ethiopian brothers and sisters can begin praying for the team members by name. Remember: Becky and I have never done anything like this before. We are as much "fresh fish" as anyone else on the team, but we sure had a good time. Next stop on our Ethiopia speaking circuit? Amis Chapel Baptist Church, this coming Sunday. 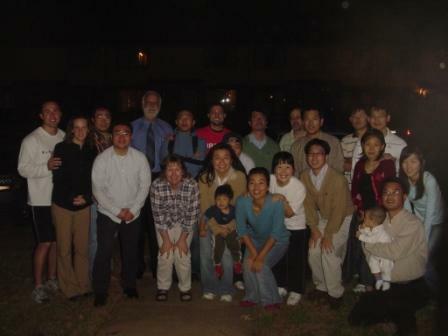 5:13 AM Tonight I have been invited to have supper with the Korean Student Fellowship at their dorm. Korean food is my absolutely favorite cuisine in the entire universe. I hear there will be pulgogi, pap, chan mul, and, of course, kim chi by the bucket load. I can't wait to tell them about my most embarrassing moment ever. It took place during my fourth trip to Korea. Dr. Black, I was wondering if you can help me, do you know of any passages that directly speak to or indirectly speak to accountability for teacher's and leadership in the church. I'm in the process of instituting a teacher cov. and few teacher's have a problem with the church checking their giving record. They believe that we are violating Matt 6:3 by checking on their giving record. Can you help me? Thanks. 7:21 AM The church's biggest battles are not against external enemies but internal attitudes that destroy unity. Please pray for the believers among the Burji and Guji tribes in southern Ethiopia, that they will be like-minded in the Lord and together advance the Gospel of the Lord Jesus Christ in the midst of tribal warfare. Thank you. 7:17 AM Monday shout-out to our friends at Bladen Union Baptist Church near Fayetteville, NC, who welcomed us with open arms this past weekend. 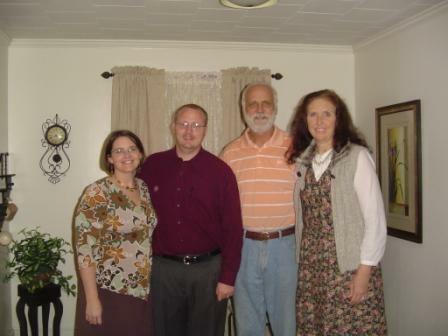 Brother Heath Faircloth and his dear wife Leann hosted us and opened their beautiful home to us. 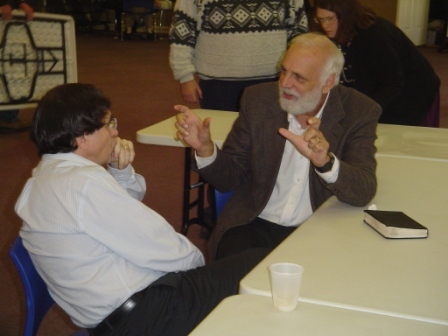 On Saturday night we spoke to a smaller group of church members in the fellowship hall. Becky focused on 7 individuals the Lord Jesus has brought into our lives, including Bereket, Emebet, Kedir, and other names familiar to anyone who visits this blog regularly. On Sunday morning I talked about the essentials of missions from Matthew 9 (before the disciples were launched out on mission, the Lord had to kick out the parameters of their vision or nothing would have happened. They needed to see the mission through God's eyes and base their expectations on God-sized goals). It was great to see the ethnic diversity in the congregation. I loved it! Growing up in Hawaii as an ethic minority, I am used to racial diversity and thrive on it. In the Philippian church there was an Asian, a Greek, and a Roman. These people must have had little in common with each other before they came to Christ. Lydia, the slave girl, and the Roman jailor not only represented different races but different social classes. But they were all equal in the Body of Christ. I wish I could see more of this in our churches. At the conclusion of the service brother Heath presented us with a check for $1,000 for Ethiopia! What a great blessing. This church has a huge heart. I saw this also during our Sunday School class, as some of the men reported getting on their combines the day before to help a sick neighbor harvest 80 acres of soy beans. These men had demonstrated their love. They had helped a fellow believer above themselves; they had valued people over possessions or personal plans. You should have seen the joy on their faces. It reminded me of Acts 20:35, that great "agraphon" of Jesus: "It's always a greater blessing to give than to get!" Together these men had thought and acted as one being, and that Person was Jesus! Many thanks to all of you at Bladen for your gracious hospitality, generous gifts, and loving, selfless spirit. May the Lord Jesus bless you for it. Changing from teaching to journalism, he discovers, is not as drastic as might be supposed. Both professions are exercises in fantasy; the instruction that teachers pass on to their classes is as dubious as the news and comment that journalists pass on to their readers. Such difference as there is lies in the time factor; within reason, the Teacher can devote as much time as he likes to expounding his subject, whereas the Journalist is exclusively concerned with the immediate present. The Teacher, that is to say, is liable to be a long-drawn out bore; the Journalist, an instant one. Otherwise, there are in the same business--as St Augustine puts it, "Vendors of words." God, humble my pride, extinguish the last stirrings of my ego, obliterate whatever remains of worldly ambition and carnality, and in these last days of a mortal existence, help me to serve only Thy purposes, to speak and write only Thy words, to think only Thy thoughts, to have no other prayer than: "Thy will be done." In other words, to be a true Convert. Do stop by often, as these ruminations will be coming to you at any time of day or night. What a blast it's been, editing this blog. And what a great readership you've been. Most of all, what a magnificent Lord we serve. Let me brag on Him for a moment. 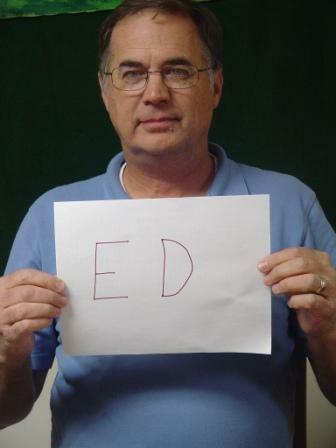 So far this year He has given us over 2,834,000 hits and 110,500 unique readers. Most of all, I've been blessed by the hundreds of emails I've received from readers far and near. I have many faults, folks, but ingratitude isn't one of them. Thank you from the bottom of my heart, Heavenly Father, and may you bless my readers for their kindness toward me. And if you are a blogger, remember this: if the Lord appoints, the Lord provides. He never calls us to do something unless He enables us to do it. 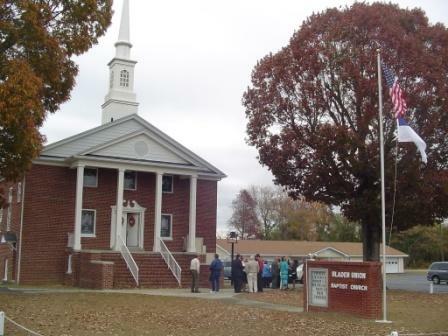 7:20 PM Becky and I are back from an overnight trip to Bladen County, NC, to speak at Bladen Union Baptist Church. A former student of mine, Heath Faircloth, is the undershepherd there. I'll have pix tomorrow. Right now we're getting ready for our first orientation meeting tomorrow night for the Bethel Hill Ethiopia team. 7:33 AM I'm glad that so many of my students will be attending the ETS meeting in DC this week. It's a great place to meet people and publishers and to purchase books cheap. 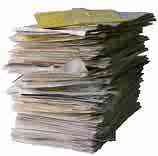 But the papers tend to blow hot and cold. Last year I can't tell you how many times I heard: "Please excuse the typos in my paper, but I didn't have time to proofread it." Unacceptable at SBL, let me tell you! I see ETS as an excellent venue for younger teachers/students to cut their eye teeth by presenting papers and then consider publishing them in JETS, the in-house journal. My first articles and book reviews appeared in that journal, and today its quality is even better since all the essays are refereed. A big question many young professors will face is: How important is publishing for my career? For some, their tenure will hang on it. I tend to agree. In an academic institution, it doesn't make sense to me to have full professors who haven't published even a single journal article, much less a book-length work. You have to start somewhere, and JETS is an excellent place to begin (and even continue) one's writing career. My suggestion is to write at least one book review a year for JETS and submit an article once every 4-5 years or so. 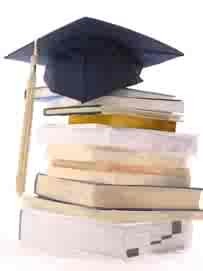 Always try to get your doctoral dissertation published, even if you have to modify its contents or style to meet a publisher's requirements. I have helped many young writers get their first book published, simply because I have worked with so many publishers through the years. I see this is as part of my responsibility as a teacher. But ETS is a good place to introduce yourself and your work to the publishers personally. And if you're a blogger, I hear there will be a blogger meet-up somewhere on Thursday. So, it sound like lots of fun. Hope all of you have a very profitable time. 7:15 AM A piece of the Acropolis is being returned to Greece, I see. That's great. 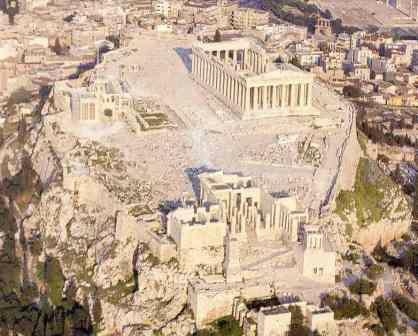 And so is the Acropolis. I'll never forget my first visit to the Parthenon. I was impressed, to put it mildly. What a contrast with the apostle Paul's first impression. I was blown away by the magnificence, the antiquity, the grandeur of Athens. Paul saw a city in the grips of pagan idolatry. That's how I am learning to see the world. Not like a tourist but like a missionary. In fact, the more I travel the less interested I am in visiting tourist sites. But when I do, the Lord always seems to have a reason, as when Becky and I visited the Falasha Village in northern Ethiopia. That's where we just "happened to meet" Bereket! June 31, 1967: The leadership has decided that from now on all brothers and sisters will help with cleanup after the Lord's Supper. February 21, 1971: It has been decided that at least once a month we will meet over coffee and cake to discuss the sermon after the worship service. March 1, 1972: The choir is being disbanded because of lack of singers. April 12, 1974: It was decided by a vote of 24 yeas and 9 nays to use nonalcoholic wine during the Lord's Supper. October 20, 1976: As lay leader of the church Brother Alfred Baechtold has been chosen. 7:15 AM Here's a nifty chart of per capita income by country. Scroll down to the "Atlas Method" to see the world's poorest nation. 7:12 AM There's quite a sticky situation developing in the Horn of Africa, in case you haven't noticed. The French are in Addis Ababa trying to talk sense into the political leaders of the region. Only the Lord knows what will happen in the next few months. We leave for Addis on Dec. 14. Brother! All I can say is "Amen" to the latest article. I could almost feel the fire in your belly! 6:29 AM I met a student this semester who has a witnessing ministry among the surfing crowd of North Carolina. I can really see the need for this. Surfers are most definitely a subculture. The UK even has an organization comprised of born-again surfers. I think this is marvelous. I agree with them that there is a spiritual dimension to surfing that non-surfers never experience. To be honest, I see many similarities between my Jesus- Freak surfing days in Hawaii with what I am reading about the emerging church today. I rejected the institutional church because it was full of hypocrites. I stayed away until the Lord Jesus revealed to me that I was as much a hypocrite as anyone else at First Baptist Church, Windward in Kailua. My hubris had really gotten in the way of seeing the good work the Lord was doing in our midst. Maybe it was just a stage, but I gradually changed from being a mariachi-sandaled, long-haired rebel to a mariachi-sandaled, long-haired kingdom builder in a very traditional church setting. Does that mean I am planning on taking my surfboard to the North Carolina coast any time soon? Not likely. I have other subcultures I'm trying to reach today, not least the rural community where I live and farm, my reenacting community, and the neglected provinces of Ethiopia. But when I meet a modern-day Jesus Freak I am fondly reminded of my surfing days and the unique experience that surfing affords. Evangelistic surfers are a good model for us. Plan a strategy appropriate to your own gifts and interests. Look for potential contacts. Make your circle of friends the focus of your ministry. When you're surfing, don't cut in on the other guy. If you offend someone, seek forgiveness. Pray, definitely! Be humble and teachable. Who can fight that? Use what you have for the Lord, and be deliberate. The main point? Evangelism is a way of life, not a method. By the way, the above photo of the Pipeline shows an almost perfect day for surfing. Slight offshore wind. 6-8 feet. Non-crowded conditions. Since I am not goofy-footed I would usually surf a bit to the east at Pupukea, where the rights were phenomenal, the tubes deep and hollow. Sadly, today the North Shore has become extremely crowded and territorial. It's still a good mission field, though. 3:39 PM I received an email today from someone who referred to me as a "scholar." Although I certainly appreciate the compliment and the way in which it was offered, I feel very uncomfortable when anyone refers to me as such. First, I don't deserve the title. To my mind, a real scholar is someone who is fairly famous in his field. I don't think anyone in the academy would call me a Greek "scholar" (even though I have written a few books on Greek) or a Pauline "scholar" (even though my dissertation was on Paul) or a church history "scholar" (even though I enjo y church history and have written a number of essays on the subject). Secondly, I don't think Jesus is at all impressed with our man-made titles like "Dr." Brother Dave is just fine with me, or even Dave. I tend to take Christ's words in Matthew 23 literally -- "Don't you be calling anyone your teacher, for you have One Teacher, and He ain't you. You are all brothers. Understand?" (Yes, I paraphrased that.) I've said it before: We can never judge the truthfulness of a person's statement on the basis of his or her academic achievements. No, I am not disdaining formal education. But I've also known quite a few people who were "educated beyond their intelligence," if you know what I mean. Yesterday in chapel we were reminded from Rom. 12:1-2 that the world delights to squeeze us into its mold, and one of the ways it does this is by erecting false distinctions between believers, so that the educated Christian thinks he is above the "unedumacated" [sic] believer. Don't forget that Romans 12 also contains this verse: "Live in harmony with each other. Don't be arrogant, but be friendly to humble people. Don't think that you are smarter than you really are" (v. 16). I see that the Greek here can also be rendered, "associate with humble people" or even "be engaged in humble tasks" (is tois tapeinois masculine or neuter?). So, to all of you students out there: stay humble, don't set your mind on high things, be willing to do humble tasks for Jesus, and "don't let the world squeeze you into its mold," including its worship of honorific titles. Fools are fools, whether holding doctorates or not. At the same time, don't be afraid to study your Bibles from cover to cover. Even if a formal education doesn't guarantee possession of the truth, that's never an excuse to put our brains in park or neutral. 11:22 AM Check out Brett Morey's new site: Revolution 3.2. And thanks, Brett, for the mention. I am honored. 10:44 AM The latest addition to our home page is called Sidetracked by "Issues"? 10:34 AM I want to express my appreciation to Jerry Lassiter and Glenn Ansley for their help in getting DBO back up after our new hard drive was installed. I am a complete klutz in numerous areas, including computers. Guys, your willingness to help me out was a life-saver. Many thanks indeed. 9:59 AM It happened 3 decades ago. And I've got a piece of it in my safe deposit box. 9:56 AM Responses to Scot McKnight's lecture on the emerging church may be found here. 9:52 AM Here's yet another reason why a correct assessment of the last twelve verses of Mark is important. 9:48 AM Charleston Southern University is seeking a chair in religion. 9:43 AM The Swiss have been celebrating their linguistic diversity. The honoree? Romansch, which is spoken by less then one percent of the population. Go here for a series of links on this ancient Romance Language. Even though I once lived in Switzerland I have never heard Romansch spoken, though I would dearly like to. 9:40 AM In five weeks we leave for Ethiopia and we are already in the “deadline” mode. Someone has said that we poor mortals race from one deadline to another as fast as our ulcers will allow. Becky and I are trying to start early to avoid the mad frenzy of doing things “last-minute.” When I’m in a hurry I turn out shoddy work. When we built Bradford Hall we took our time, and today we are enjoying the results of Nathan’s careful craftsmanship. Simplify – that’s become a big part of our life here at the farm. One way we do this is by cutting out Christmas. Bottom line: Our times are not really ours but His. We are stewards of our days and had better number them so that we may apply our hearts unto wisdom. And that means not waiting till the last minute to get things done. 9:26 AM If you’re going to ETS or SBL in DC this year, don’t forget to visit this. 9:22 AM The difference quotation marks can make! 9:15 AM Does Mark 1:41 say that Jesus got angry? This is a major textual variant – have fun examining the internal and external evidence. Even if you go with “filled with compassion” here, I still think a case can be made in the New Testament for righteous anger. I have argued as much in defending the reading “without cause” in Matt. 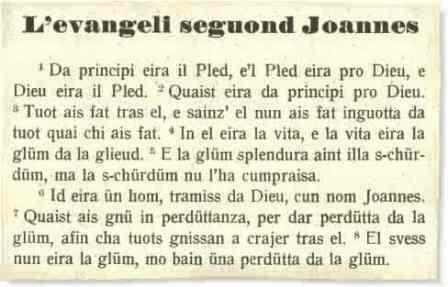 5:22 (Novum Testamentum30.1 ). The findings, which were released in August but largely escaped public attention until now because of the large volume of data, indicated that marriage did not figure in nearly 55.8 million American family households, or 50.2 percent. Read For first time, unmarried households reign in US. 9:11 AM Our good friends the Lindholms now have a blog on Ethiopia. I can’t think of a better way for missionaries to get their message out. 9:09 AM Read Confessions of a blogger. 9:04 AM Justin Taylor calls our attention to this excellent essay on homosexuality and the Bible. 12:19 PM I heard the tractor running and went to see what's up. 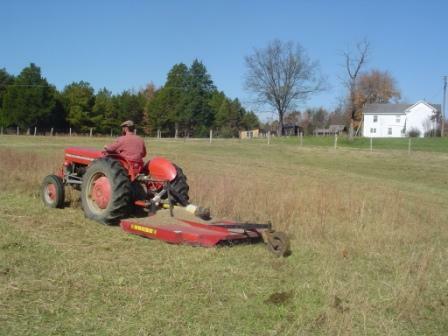 Nathan was out bush hogging his pond field. At the same time the Lord has been putting the ground to sleep for the winter and covering it with a lovely blanket of leaves. Even the animals seem ready for the cold. Trav has a big winter coat, as do the goats. 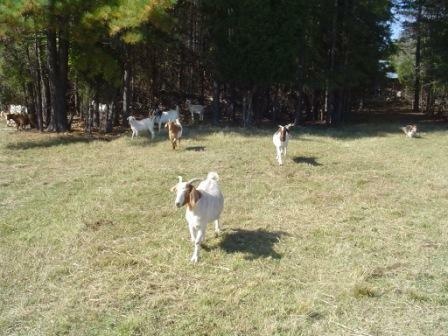 The only danger now is from stray dogs, who are natural predators of goats. Right now I'm getting ready for the Dell technician to show up. He's replacing a faulty hard drive. 7:42 AM On our second missionary trip to Ethiopia we stopped briefly in Alaba. Alaba had proven to be a most hostile environment for the Gospel. Opponents had been creating problems, and I went to meet and pray with the parents of an 18-year old man who had been murdered for his faith. This visit sealed our love for the church in Alaba and launched our work there. Challenge them to persevere in godly living despite the persecution. Encourage those in mourning with the certainty of the resurrection and the second coming of Christ. Remind them of the power of the Holy Spirit to overcome bitterness and fear. Remind the believers that they have been considered worthy of sharing Christ’s sufferings. Give ourselves to constant prayer in their behalf. All of these blessed truths are found in Paul’s first letter to the Thessalonians, a church under fire. Paul wrote to assure them of his love and to remind them that they could expect suffering as a natural part of a life dedicated to God. Suffering is not the exception but the rule of Christian living. It is God’s tool to shape godly character within us. Paul went on to exhort the Thessalonians to live righteous and holy lives in the face of the many evils there were experiencing. There will come a time when God will right every wrong and reward those who have endured to the end. Meanwhile we are to follow Christ’s example of quiet confidence. Our aim in all that Becky and I do in Alaba is to have God’s approval and to act in such a way that when our motives and methods and manners are honestly examined by our fellow men we will have no need to be ashamed. Alaba contains a bewildering variety of people. Some are holy saints, others are hardened sinners. Our job is to love them all and to lead them to Christ, who left us an example that we should follow in His steps (1 Pet. 2:21). Lord willing, in 6 weeks Becky and I will be back in Alaba. 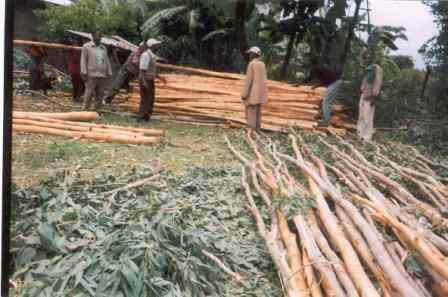 Meanwhile, please join us in praying for our brothers and sisters in Alaba. 6:37 AM Every Christian in the world today is a member of the Universal Body of Christ. This weekend we were privileged to enjoy fellowship with a part of that Body as it manifested itself in 2 places. 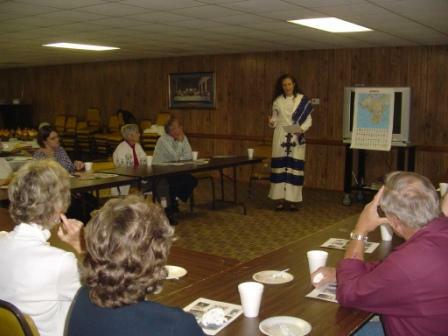 In Abingdon, VA, the Auction for Ethiopia raised over $2,000. Praise the Lord! In Boone, NC, we saw a new church plant in its infancy, pulsating with life and excitement. They're already celebrating the Lord's Supper weekly and including a time of open sharing along with verse-by-verse teaching of the Word. The new emphasis is not on a church building but on people. They are the church, and "spiritual sacrifices" (as Paul called them) are not offered by a select few but by all, for every Christian is a priest. Breathtaking stuff! Also, how nice to hear a thoughtful, pacific, calmly reasoned yet passionately delivered talk. So many sermons lead to shell shock. We are blasted and blistered, exhorted and "challenged" (how I dislike that hackneyed word!) to improve on this or that. I have long been convinced that the Word, simply taught, is itself sufficient to produce healthy Christians. "The truth shall set you free." As with everything in the Christian life, the starting point is, "What does the Scripture say?" If, for example, the Scripture says using one loaf of bread at the Supper not only symbolizes our unity but somehow produces it (read 1 Cor. 10:16-17), our only question ought to be, How can we possibly do it any other way? We can hardly improve on that! Yet no illustration can make us understand the wonderful joy God must have when His children obey Him. The auction was held at the 4H Club in Abingdon. I'd say about 150 were in attendance. 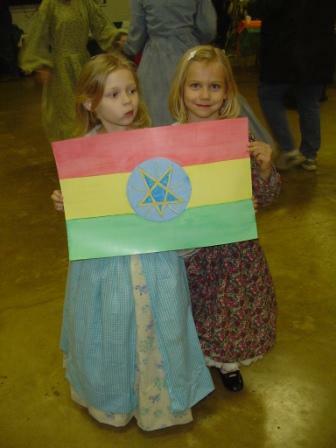 These young ladies are displaying a flag of Ethiopia that was given to us. 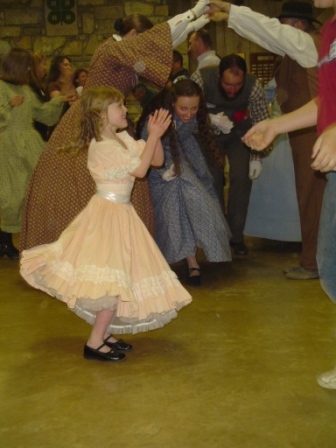 The auction was followed by a barn dance that included the famous Virginia Reel and the Round-About Promenade. Here our hosts John and Julie Austin present us with the proceeds of the auction at the end of the evening. As you can see, Becky and I wore our traditional Ethiopian outfits. Matthew McDill brought the Word at the Highland Christian Fellowship in Boone. Afterwards there was plenty of opportunity for conversation. I could wish that every church had a fellowship meal after the service! Here we are discussing the message from 1 Cor. 7. You can see why we are so thrilled about this weekend. Genuine disciples, true Christians, are recognized not merely as people who acquire truth but who apply it diligently in their lives, proving their faith by their actions. To sacrifice self for the blessing of others -- that's what we witnessed in both places this weekend, and it was a blessing. It kept reminding me of "the One who is able to do immeasurably more than all we ask or imagine." My thanks to John and Julie for their great labor of love in organizing the auction, to all who attended and gave so generously to the Lord's work in Ethiopia, to Matthew and Dana McDill for inviting us to visit with them and their friends in Boone, to the congregation of Highland Christian Fellowship for welcoming us so warmly into their midst, and to Liz, Caleb, Isaac, and Micah Rondeau for bottle feeding our calves while we were gone. One more thing. Thanks, Nathan, for driving us there and back, all 586 grueling miles of it. 9:44 PM It will get down into the low 20s tonight. A hard freeze is expected. Remember to bring your plants inside, and don't forget about your outdoor pets. Right now we're making last minute preparations for our trip to Abingdon to visit with the Austins and to attend theAuction for Ethiopia they are organizing. Please pray for safety and good health for all those attending. By the way, it hardly seems possible that exactly two years ago Becky and I made our first trip to Ethiopia together. The trip began on Oct. 15, 2004 and lasted until Nov. 18. Two years ago today, Nov. 3, 2004, Becky was getting ready to leave the clinic where she had been working in Langano to meet me in Dilla, where I had been teaching the Gospel of John to rural pastors for a week. From there we traveled together to her former mission station in Burji (a now familiar name to most of you). Little did we know at the time that God would lay the nation of Ethiopia on our heart. I am grateful for the many happy memories of our visits since then to the land of Becky's childhood. Even more, I want all my friends to know that my heart is filled with joy and anticipation at what God will yet do as His people reach out to those less fortunate than they are. It may even be that some readers of this blog will feel called to travel to Ethiopia someday. Wouldn't that be wonderful? Well, time to call it a night. Have a wonderful weekend, friends, and don't forget your outdoor pets tonight! 5:40 PM I just drove 150 miles to Raleigh get some injera for our Ethiopian food. Becky is now in the kitchen cooking up a storm. While driving I heard this delightful interview on NPR with Anne Karpf, the author of The Human Voice. The author asked, Do you like your voice? Has it ever changed? She analyzed the voices of famous people from FDR to Churchill to George W. Bush. My own voice has changed through the years. When I left Hawaii to go to California at the age of 18, people had difficulty understanding my English. My Pidgin accent was very strong at the time. And when I go back to Hawaii I can pick it up at the drop of a hat. When I speak German in Switzerland the Swiss say I have a slight German accent. Across the border the Germans say I have a mild Swiss accent. My voice can be deep and loud or soft and raspy, depending on my sinuses that day. If you do listen to the interview I am quite sure you will enjoy the author's own voice: a sonant British accent. 9:24 AM The latest addition to our home page is called Scot McKnight on the Emerging Church. 9:13 AM Terrorist threats are mounting in the horn of Africa. Lord willing, we will arrive there in exactly 42 days. 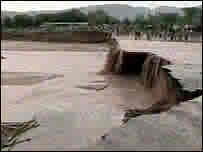 4:23 PM Ethiopia has been hit by new flooding. Go here for pictures of the devastation andhere for a report on how Western aid is only adding to the problem. 4:12 PM Sadly I must announce that one of our new calves has died. It had scours, which we treated with medication, but it was too late to do any good. In short, we were sold a sick animal, but didn’t know it. 4:05 PM Ward Powers has kindly sent me a link to his ETS paper on the synoptic problem. You can read it here. His diagram of synoptic relationships is here. It was interesting to note how closely it matches my own views on the matter. 3:58 PM “People who don’t believe in missions have not read the New Testament. Right from the beginning Jesus said the field is the world. The early church took Him at His word and went East, West, North and South” (J. Howard Edington). 3:53 PM Lincoln Christian College and Seminary in Lincoln, IL, announce openings inpreaching and pastoral care and counseling. There are occasions where circumstances trump principles. Statesmanship consists not in being loyal to one’s avowed principles (that’s easy), but in recognizing the occasions when one’s principles are being trumped by circumstances. . . . The . . . creative statesman, one who possesses some political imagination, will see such occasions as possible opportunities forrenewed political self-definition. In light of their fatally flowed presuppositions, it’s not surprising that conservatives drift stateward or compromise their “principles (as they do when it comes to gay marriage). How (or if) this will change with the upcoming elections is anyone’s guess. As a Greek philosopher once said, “panta rhei,” everything is flowing. We abhor terrorists because they kill innocent people to pursue political goals. When we hunt them down we must go out of our way to avoid doing the same. Yet our enemies can (and do) make the same charge against a government that kills thousands of innocents to pursue their “war on terrorism.” Killing innocents only feeds into terrorism. As a result, Iraq is now a haven for terrorists, and Afghanistan is plagued by a resurgent Taliban – all at the cost of hundreds of billions of taxpayers’ dollars and 2,700 American lives. Paul Craig Roberts, formerly of the Reagan administration, asks, “What kind of government would destroy the lives through death or disability of over one million people for no valid reason?” It’s becoming harder and harder to be shocked by anything in America, but these essays ought to hit us with a full 220 volts. 3:23 PM At the height of the Battle of Britain, when British airmen were being killed at an appalling rate, a propaganda official had an idea to raise morale. 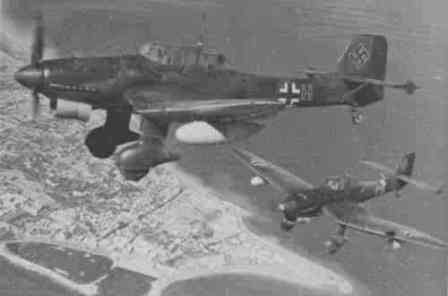 On the walls at the Royal Air Force bases a poster appeared with these words: “Who is afraid of the Ju-87?” (At the time, the Ju-87 -- aka the "Stuka" -- was one of the most effective German bombers.) An anonymous pilot penciled in: “Sign here!” Within a few hours, all the pilots of the base had signed. That’s how I feel about traveling in parts of the world today. We go with our eyes wide open to the potential dangers (such as the possibility of full-scale war between Ethiopia and Somalia) but we go anyway, just as those pilots went. It was their duty. One caveat, though. We have told the leaders of the local churches where we work that if our presence would expose them or their families to unnecessary peril, we will stay at home. That’s why we work so closely with the church eldership in Ethiopia and are in constant touch with them. We go only with a green light from them. Imagine mouthing a phrase in English, only for the words to come out in Spanish. That is the promise of a device that will make anyone appear bilingual, by translating unvoiced words into synthetic speech in another language. Please, please make it work for Amharic. 3:12 PM A language that my roommate taught me in college finally gets a moment in the spotlight. 3:10 PM P. J. Jordaan reviews Grammatical Concepts 101 for Biblical Greek: Learning Biblical Greek Grammatical Concepts through English Grammar. See what you think of Jordaan’s description of Greek students in his first paragraph.